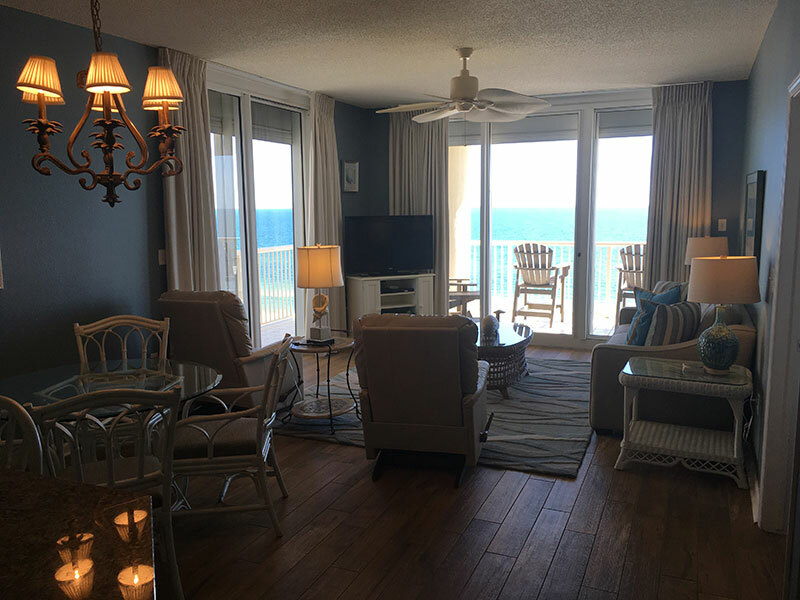 WWhen our son, who lives across the country, agreed to spend part of his vacation time with us, we began looking for wheelchair accessible accommodations at the beach. Finding a hotel room with a roll-in shower and two beds can be difficult. Sharing a cramped hotel room with your adult child is doable for a day or two, but quickly becomes awkward. We considered booking two hotel rooms until a friend suggested we rent a condo. We turned to HomeAway.com which is part of the Expedia family and has more than 2 million online holiday listings. Properties range from cabins and condos to homes and villas. HomeAway's website allows you to search by location, date, price range, and more. There's also a "Wheelchair Accessible" filter which is somewhat helpful for people with disabilities. What each owner or manager of a property deems "Wheelchair Accessible" may or may not fit your particular needs. Often times, the owner states their property is wheelchair accessible simply because there are no steps or the building has an elevator or the unit is located on the ground floor. Each HomeAway property includes a detailed description and photos. Before paying a deposit, ask enough questions to determine if the rental is a good match for you. The owner or property manager's email, the language they speak and anticipated response time is listed. Are there steps to enter the property? Is there an elevator? What are the dimensions of the doorways? How wide is the balcony? Is there a roll-in shower? If so, does it have a shower bench? 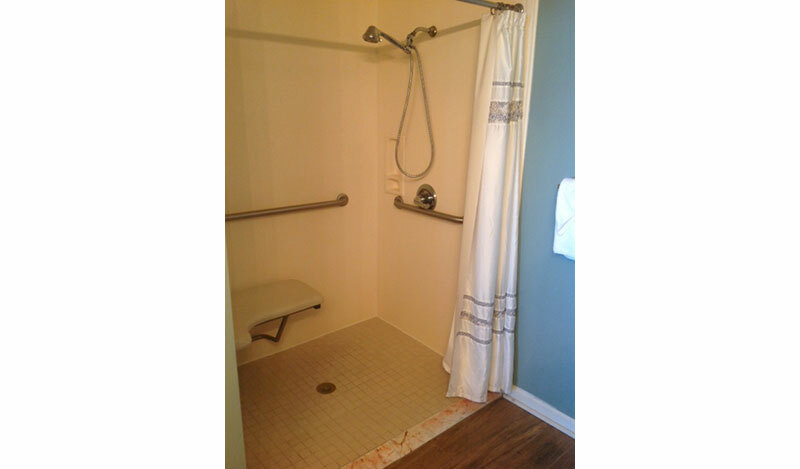 Although HomeAway listed hundreds of wheelchair accessible beach condos, we needed one with a roll-in shower. By conducting a simple Google search using the words "HomeAway, Florida, Alabama, Roll-in Shower," we quickly found several contenders. Some of the properties were listed on VRBO (Vacation Rental By Owner), which belongs to the HomeAway family of brands. For our getaway, we selected a three bedroom condo. The corner unit's balcony ran the length of the condo and was wide enough for a wheelchair. Both the living room and the master bedroom contained sliding glass doors with access to the balcony. A roll-in shower with a fold down bench was located in the master bathroom. All the cookware and tools we needed to prepare meals were stocked in the full-size kitchen. A stacked washer and dryer was tucked in a small closet. Our condo complex included one indoor and four outdoor swimming pools, outdoor grills, free parking, free Wi-Fi and on-site restaurants. Spending time together is a rare occurrence for our family. Perched from our 11th floor condo, we spent hours reading, talking and admiring the Gulf coast view. The five day break was a great way to reconnect and relax. 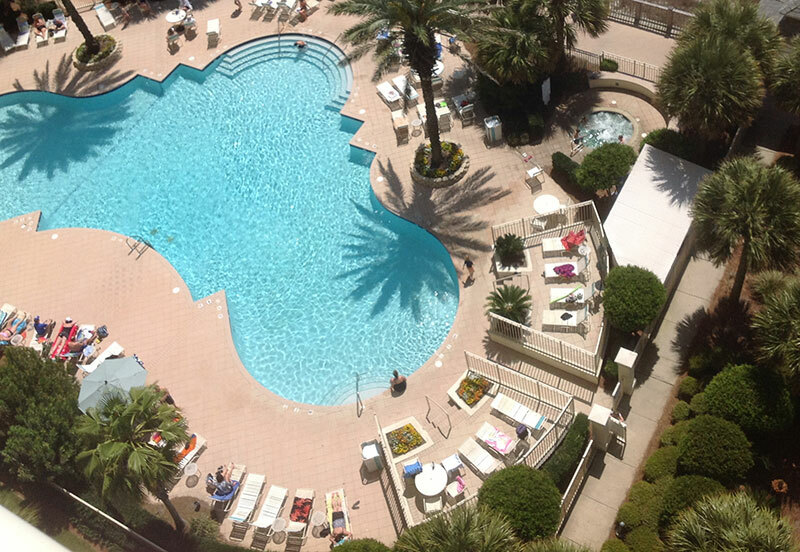 Finding a wheelchair accessible condo was worth the effort and we would definitely book it again.